Four CSLR students were recognized by the Center for Women and the Emory Alumni Association as Women of Excellence for demonstrating great effort, strength of character and excellence during their time at Emory. They are Ashley Barnett (JD 2016, LLM 2017), Keisha Russell (JD 2017), Jackie Tyo (JD 2017), and Tayler Bolton (JD 2017). 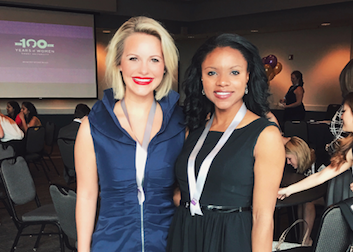 They attended the 100 Years of Women of Excellence Awards dinner along with about 80 other recipients across campus.